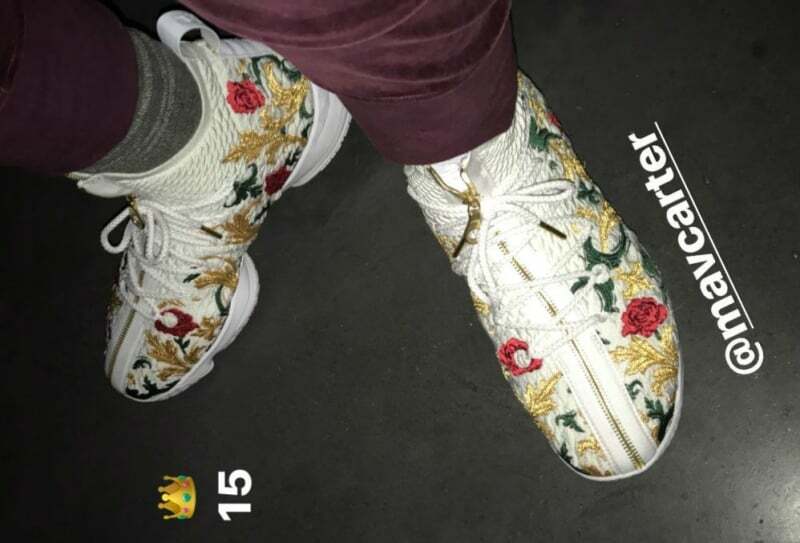 Not long ago we showed a first look at the Nike LeBron 15 which is LeBron James 15th signature shoe. 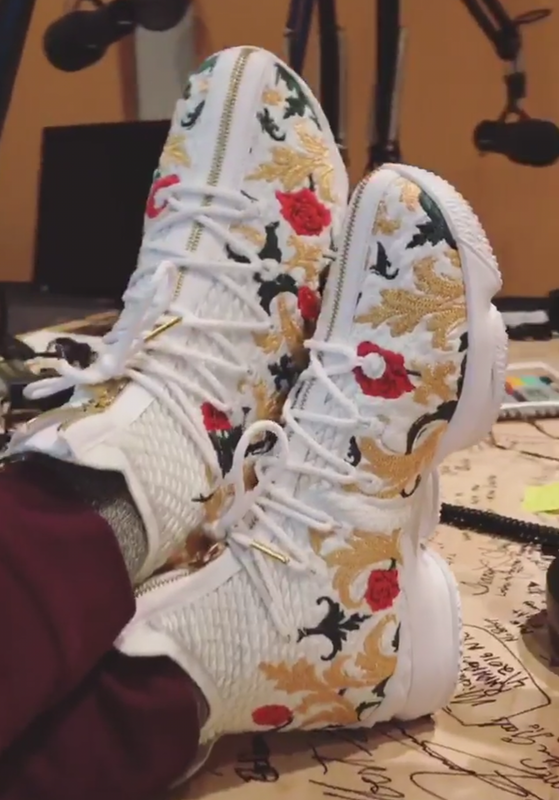 Now we have a new pair showing up which was on the feet of Maverick Carter and seen on Victor Cruz’s Instagram story. 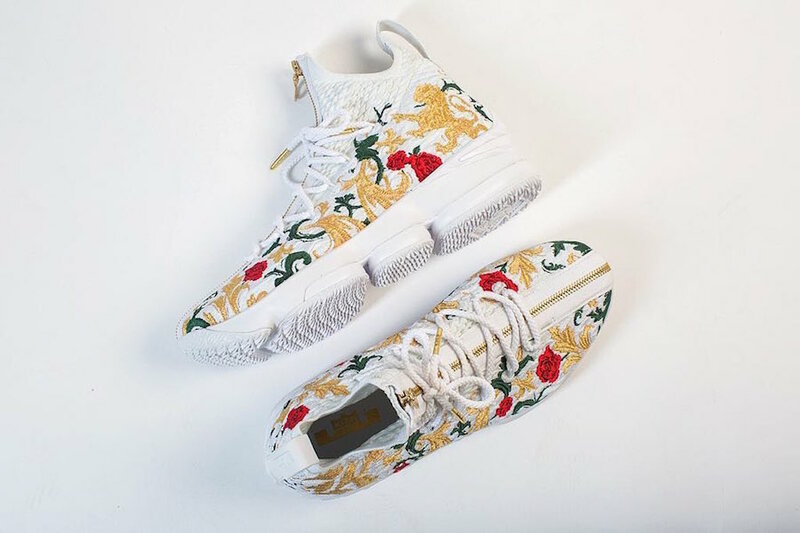 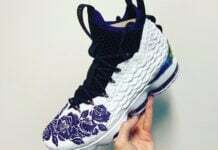 As you can see, this Nike LeBron 15 features White across the base however the highlight would be the Floral embroidery seen wrapping the uppers. 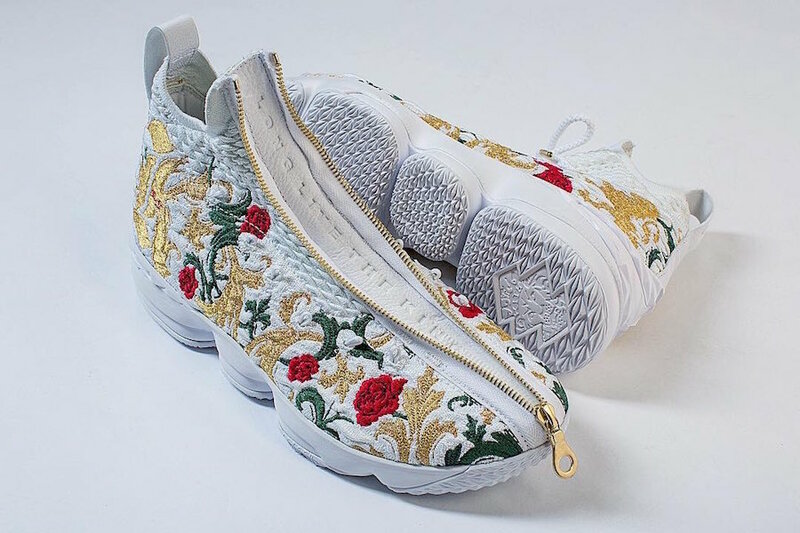 Following we have Gold on the lace tips and White on the rubber outsole. 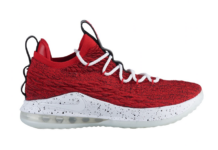 The LeBron 15 is constructed with BattleKnit and BattleMax technology. 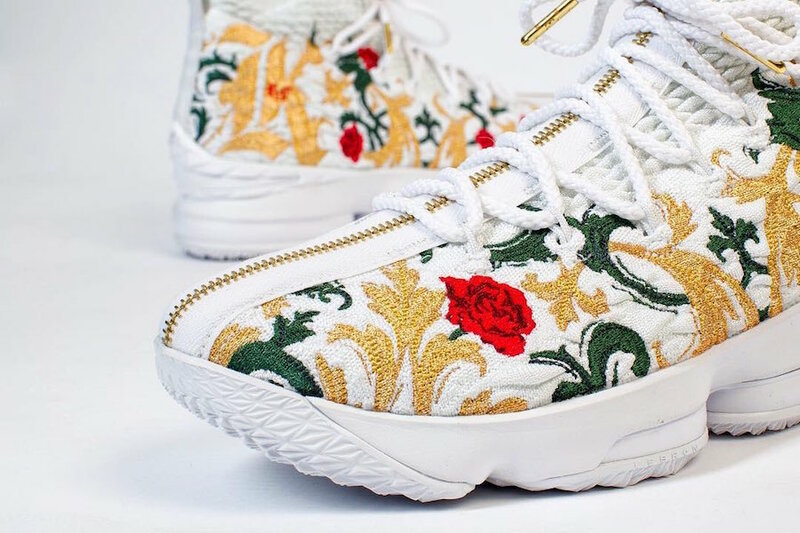 Update: We now have a detailed look at the KITH x Nike LeBron 15 Floral which shows off some of the smaller details. As you can see, they feature zippers that reads ‘LONG LIVE THE KING’ which zipped down. 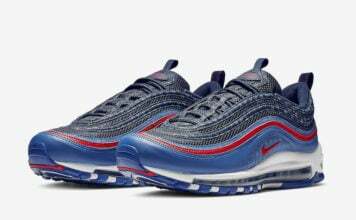 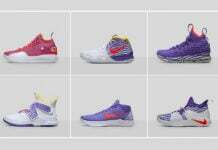 Currently a set release date has yet to be announced but more information coming soon. 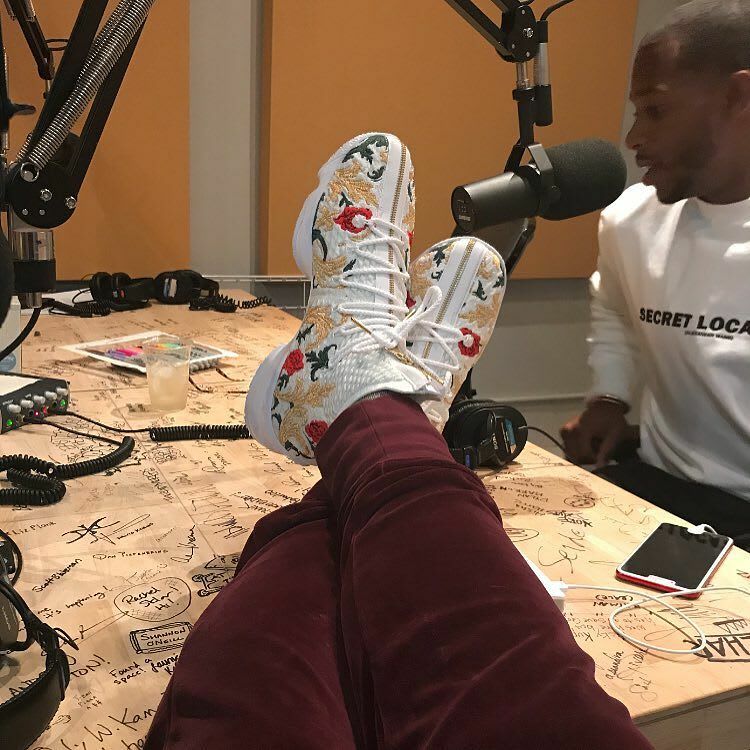 Via timday087.